Every time I see this photo, my mouth waters. It’s just a fact. These ribs look perfectly done, beautifully saucy and I can even see a little hint of spice in there. Anybody else? 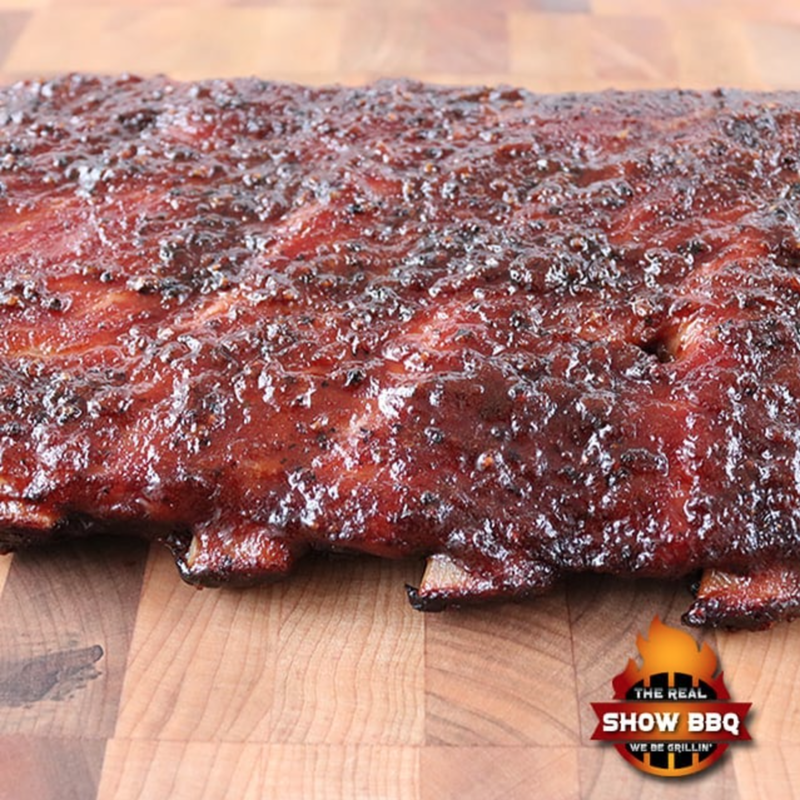 Instead of writing the recipe below, we want YOU to check out the drool-inducing video on The Real Show BBQ’s YouTube channel! Here’s the link.